-currencies are digital currencies that use encryption techniques for payment transactions for goods and services. They can also be used for contract settlements. You buy not shares with dividends, but tokens with potential profitability. Such crypto-currency tokens are called coins. They can be used as a means of payment and as a means of saving. When trading with crypto currency, profit and loss can occur in a matter of seconds, minutes, hours or days. This is a common investment market, only with a higher risk and greater volatility. This is a very volatile world, different from traditional investments in stock markets, where you can sit on your money and wait. Such fluctuations in just a few months raised the cost of Bitcoin from less than $ 900 to $ 20,000. There are things that newcomers do not understand, and this can have serious consequences. In the case of most crypto-investment, your money is not protected by any laws and no guarantees. The price is subject to market forces and is not set by any central authority. So, in case of large losses, you can hardly return money. Decentralization was laid in Whitepaper Bitcoin. As a consequence, no government and no bank can control its price. There are high risks here, so this is not for the weak in spirit, but with sufficient knowledge of the crypto-currency markets, newcomers can gain more confidence and patience. I present 5 critical errors that should be avoided when using crypto currency. Many people come to crypto-currencies because they have heard about them from a friend or watched the latest news. It’s enough to hear about “100-fold profit at Bitcoin” to convince a person to invest money and buy their own BTC. However, many newcomers do not understand the purpose of the BTC and the underlying technological platform – the blockbuster. What if it’s a scam like a pyramid? Any investor who wants to make a good investment must independently study what he is going to invest in. On the crypto-currency market there is active speculation based on the events that form the movement of BTC to the masses. Price fluctuations are affected by news about technology improvements or interest from large companies and financial institutions. When CBOE and CME bitcoin futures were launched, the price of BTC jumped in anticipation of greater liquidity. When you invest because of numbers, it’s more like gambling. The results in this case are always deplorable. Fear of lost profits has a strong social impact on people who want to join the new hot crypto currency. This behavior leads to an active injection of money into a new crypto currency, which may not even have a fully functioning system. So it is overrated, having no utility. When some investors realize this, a reversal takes place. In addition, wealthy investors, called “whales”, can deliberately pour in money to inflate the price. When they reach a high profit level, they quit the game, and many people can lose money at a price drop. There is also an excitement around the so-called “confidential coins”, seeking to ensure the anonymity of transactions. However, some of these coins are under the scrutiny of governments, since they can be used in illegal activities. So the excitement is not always the best reason for investment. “A new coin is growing, BUY! BUY! BUY! “The excitement also encourages some less experienced investors to buy at a peak or a high level. Then there is a recession, and the investor loses some of his fiat capital. He leaves the game because of fear, uncertainty, doubt and lack of patience. When buying a crypto currency, be it Bitcoin or any of the 1000+ alternative crypto currency, you need a digital purse. It stores your crypto-currency coins. 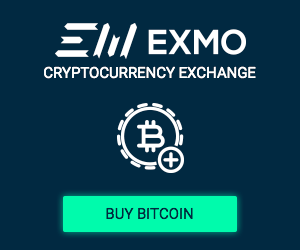 Now it’s easier to use large exchanges that sell the most popular crypto-currencies. Such exchanges, like Coinbase, provide a trustee’s purse where they store your coins. However, some users buy coins that require downloading and installing software on a smartphone or computer. In crypto-currencies, you get a public key, or a public address, and a private key. On Coinbase, the client is not given a private key. But if you downloaded your own purse, then your private key belongs to you. A public address is what you need to tell the sender to get coins. The problem is that sometimes people tell their private key, and this is a big mistake. This may mean that “the game is over”, since if someone knows your private key, he can access your wallet. The scammers like to play this game. They often, under the guise of selling goods, ask buyers to tell them their private key to complete the transaction. But things do not work that way, and some newcomers found it out on bitter experience. Never tell anyone your private key. Your private key is not needed by either sellers or senders. They only need your public address. In most cases, when creating a wallet, the user must create a password. Also, a set of keywords is created to restore access to the wallet, if the password is lost or forgotten. It is important to keep this information, because if it is lost, you will not be able to recover your coins. There is no support service that would help to restore access to the wallet, – crypto-currencies work differently. Because they are decentralized, you are your own bank. Therefore, you are responsible for everything related to the safety of your coins. It is better to keep coins out of the network, on so-called hardware wallets. But in this case, the keywords for recovery are generated. This information should not be lost. Some newcomers carelessly record information on a piece of paper and then throw it away. These purses are also encrypted, so it’s almost impossible to crack them. There are services that offer to decipher wallets, but you need to be careful, since this is most likely a scam. Sending crypto-currency to an incorrect public address can not be canceled. If you sent money – write was gone. Some systems do not process the transaction if the address is completely incorrect. For convenience, you can read the public address from the QR-code, or copy it and paste it. But be careful to copy the entire public address string. When sending coins from the purse there is a sending field where you need to insert a public address. Wallets can generate many public addresses, and you can use multiple addresses for different types of transactions. It seems that in the interfaces of some wallets this is not very convenient for users, or the instructions are not clear enough. If you have something unlike, it’s probably a wrong public address. Also, be careful when sending to multiple addresses. If you forget to copy the new address, the current contents of the clipboard with the old address will be used. This can result in a resubmission to the previous recipient. Always check to see if the recipient’s public address has been copied and pasted.